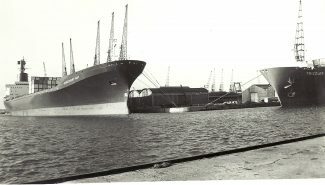 Early days of container traffic in Tilbury docks. 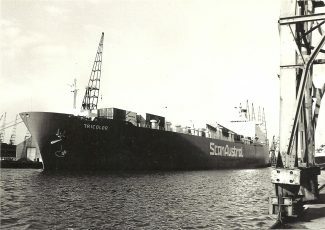 Built in 1969, DISCOVERY BAY and her sisters carried some 1600 containers. 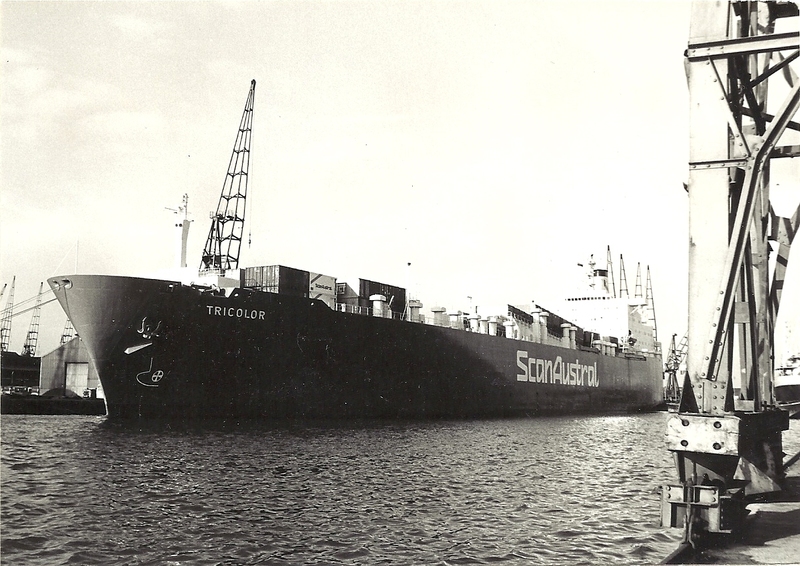 Ships of today carry anything up to 8000 and the new Triple E ships of Meask, 16000.